There's a new and exciting pattern out by Aneela Hoey called the Double Pocket Pouch. When I saw the pictures start to pop up on Instagram earlier this week, I knew I had to make one straight away. I managed to get started on the cutting last night, and I finished the pouch this morning. The finished size of the pouch is about 5.5" x 9" when it's closed and 11" x 9" open. 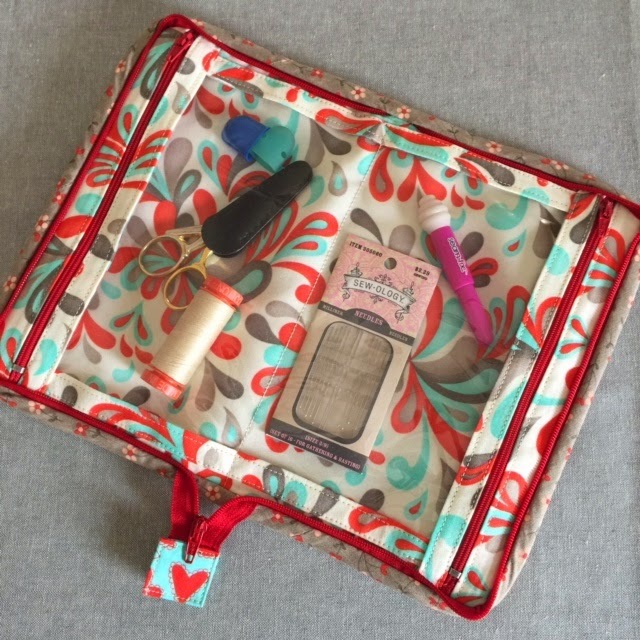 It's perfect for travel sewing, cosmetics, etc. The fabric & notion requirements are all fairly straight forward. I actually had everything on hand in my workshop. I love the interfacing she suggests (Shape-Flex by Pellon, and Fusible Fleece). I use those two for most of my bag and pouch projects. There was one section of the pattern with which I struggled. She describes an interesting way to make the bias binding. It looks really amazing in the illustration, but I just could not figure it out! Perhaps it was because I was trying to get everything cut & prepped at 11 pm. I ended up cutting and prepping my binding in the traditional manner, but I'm hoping to give Aneela's way another go for a 2nd pouch - ideally at a more reasonable time of the day. Overall, I thought this was a really cute project. 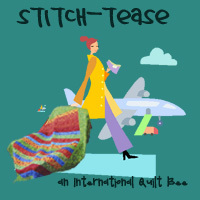 It would make a great gift for any sewist or gal pal who travels.